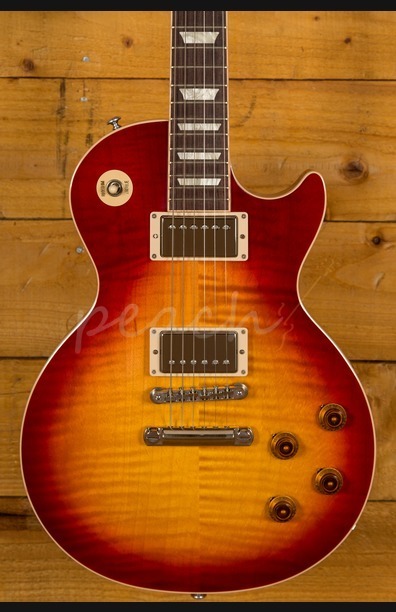 Drawing inspiration from the most iconic of Les Paul era's, the late 50's, the 2019 Gibson Les Paul Traditional has a vintage heart but with all the benefits of a modern-day Gibson. With its classic styling and traditional Grade-AA figured maple top on a solid mahogany body, this Les Paul is every bit the perfect tribute to the golden generation. 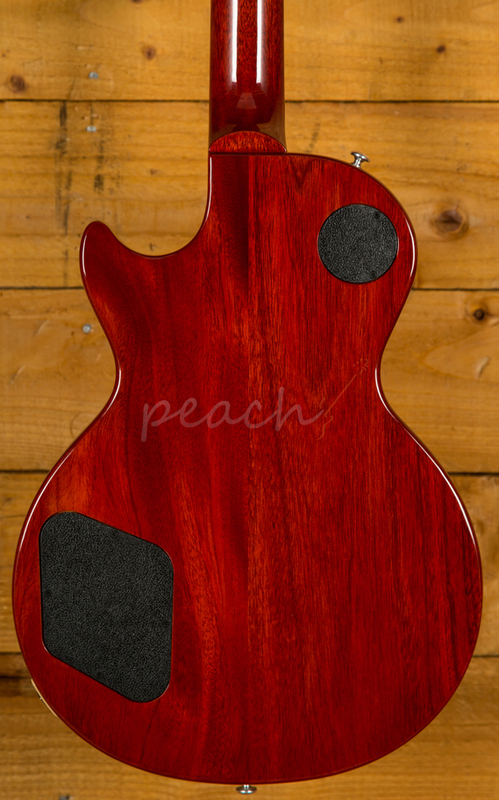 Finished in a gorgeous Heritage Cherry Sunburst it looks as great as it sounds. 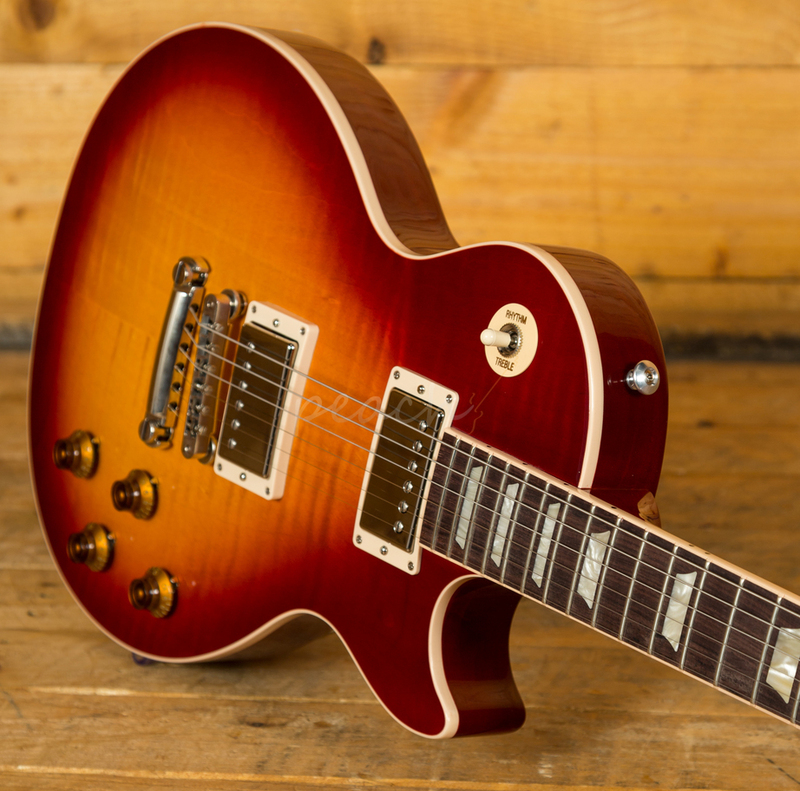 Alongside its timeless vintage styling the Les Paul Traditional benefits from a number of significant modern-day features; rolled binding and a rounded neck profile make this guitar supremely comfortable and smooth to play. 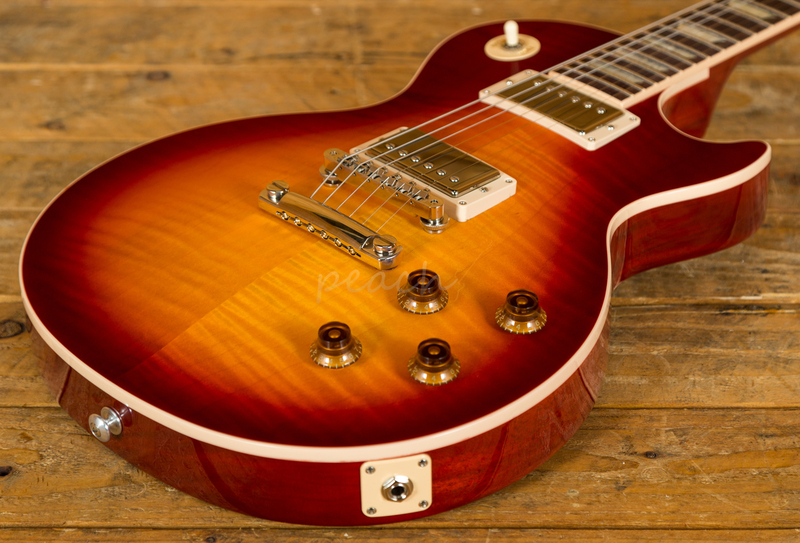 An ABR bridge and aluminium stop bar provide a classic vintage look and deliver incredible resonance and sustain while authentic Gibson tones come courtesy of Burstbucker 1 and 2 humbuckers with handwired Orange Drop capacitors. 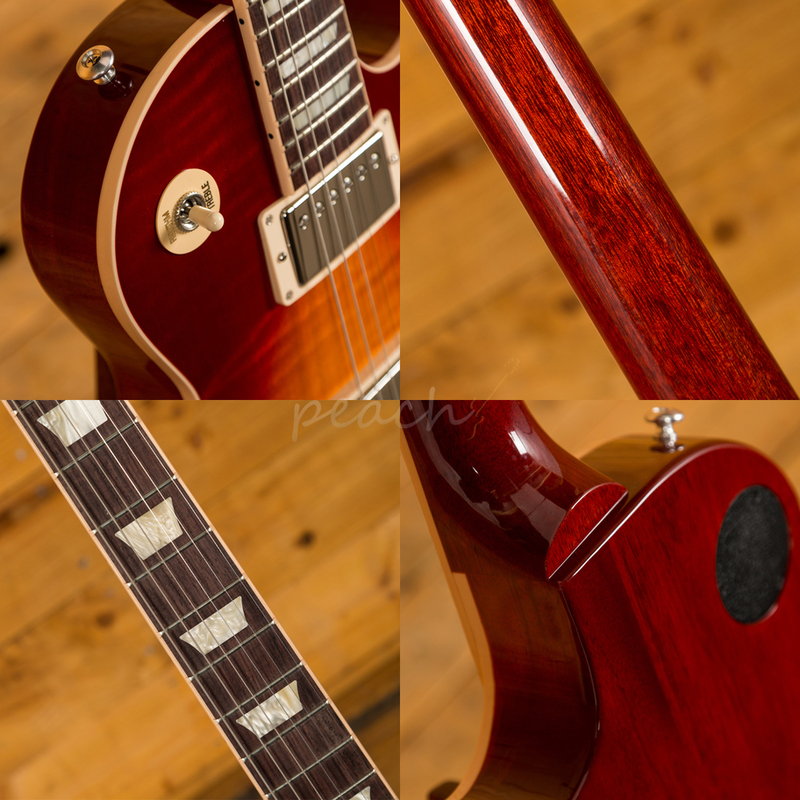 The 2019 Gibson Les Paul Traditional has great sonic depth and those old school PAF inspired tones we all love. 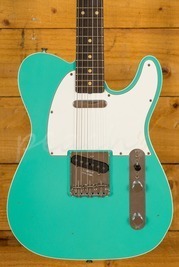 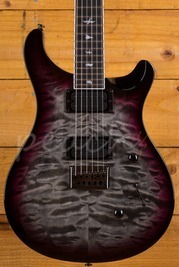 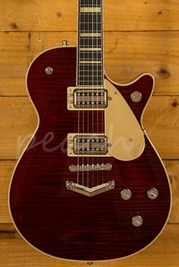 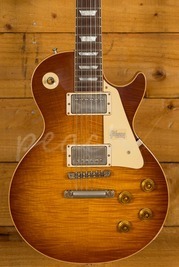 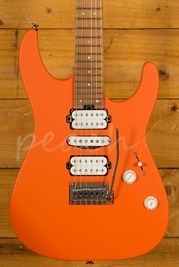 Simply put it's a perfect blend of Gibson's superb history and the innovative design demanded by todays modern players.